You can see every one of Oregon’s Seven Wonders from your car or standing at a designated viewpoint. But to really experience them, you should hit the trail. Nothing else compares to getting to know a place than to hike through it. All of your senses will be engaged, not just the sights, but also the sounds and scents of each of these places is unique — from the sweet scent of juniper at Smith Rock, to the aroma of the salty ocean air at the Oregon Coast, to the sound of water crashing in the Columbia River Gorge’s many waterfalls. Ready to get out and experience the trails in each of these diverse landscapes? With hundreds of miles of trails within the seven regions, there are many choices when it comes to choosing where to hike. 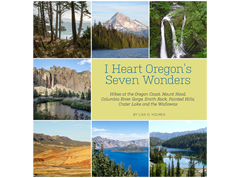 The hikes highlighted here are selections from the recently published hiking guidebook: I Heart Oregon’s Seven Wonders: Hikes at the Oregon Coast, Mount Hood, Columbia River Gorge, Smith Rock, Painted Hills, Crater Lake and the Wallowas. 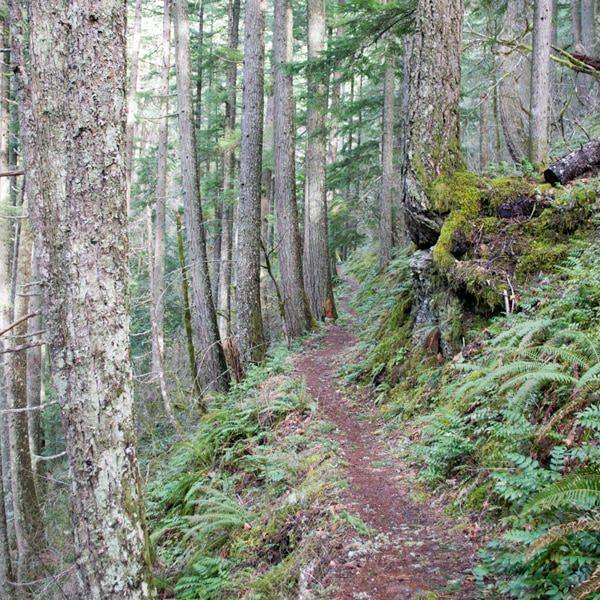 Far less crowded than more popular hikes in the Gorge, the Herman Creek trail follows the creek canyon through a lush mixed-evergreen forest with a mossy understory of ferns. 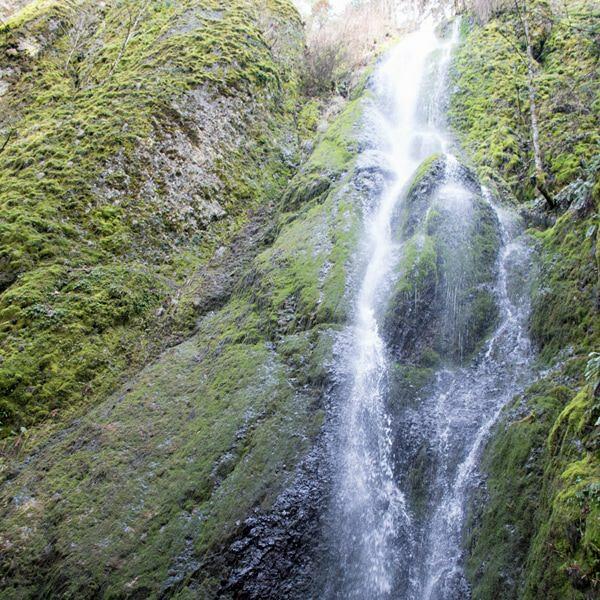 Add in a couple of seasonal waterfalls and several gurgling streams for a complete Columbia River Gorge experience. For the best panoramic views of Crater Lake, hike to the park’s highest point — the summit of Mount Scott (8,929 feet). The trail goes through a forest of mountain hemlock and whitebark pine, ascending gradually to the summit’s saddle. At the top, Crater Lake fills the western horizon. Continue on the ridge to the fire lookout, still in use by forest rangers. 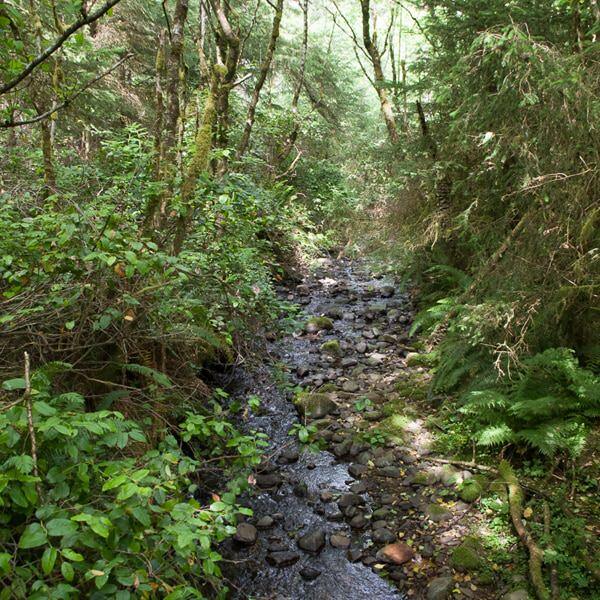 Tamanawas is a Native American word, meaning “friendly spirit guide.” It’s not hard to imagine friendly spirits enjoying this hike through the mossy green Cold Spring Creek Canyon with Tamanawas Falls (100 ft.) at the end. Begin at the Elk Meadows north trailhead for a longer and less crowded hike. Located two miles south of Yachats, the Cape Perpetua Scenic Area has it all: tide pools, churns, spouting horns and some of the best remaining old-growth coastal forest. 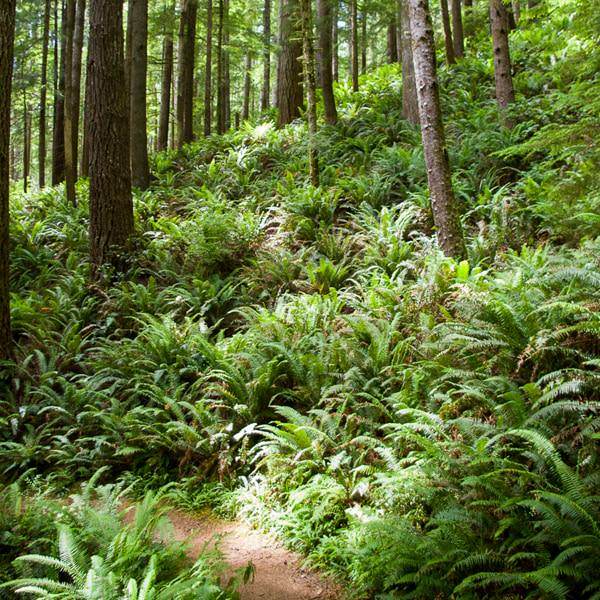 This loop hike goes up a ridge through the dense evergreen forest with a thick understory of ferns before connecting with the Gwynn Creek trail, the Oregon Coast Trail and back to the Visitors Center. While not long enough to feel like a true hike, the trails in the Painted Hills highlight different scenery in this unique area. The Overlook Trail is an easy half-mile walk up a ridge with the best views directly into the largest concentration of these rounded hills of banded color, and the Painted Cove trail offers close-up views with a boardwalk going right through several smaller mounds. The Misery Ridge and River trails showcase the best highlights of this rock climbing bucket list destination. Begin on the River Trail, winding around the rock formations next to the Crooked River, passing by several popular rock climbing areas, then take the Misery Ridge trail all the way to the top. Soak in the stunning views of the Cascades to the west, or watch rock climbers attempting to summit Monkey Face before heading back down. 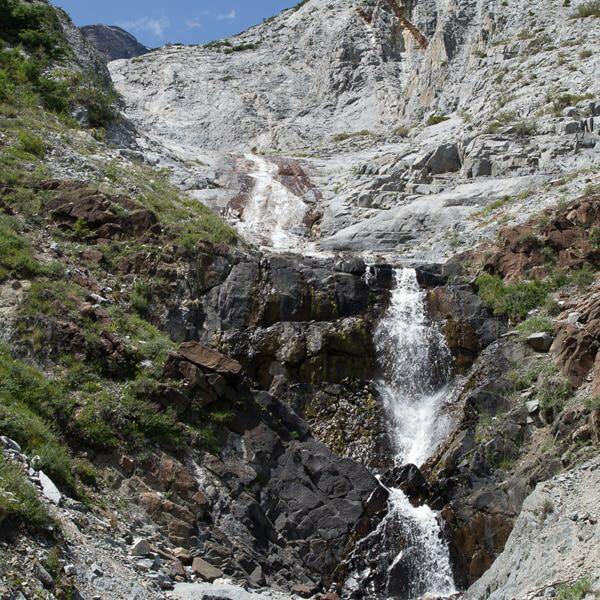 This popular day hike to Slick Rock Gorge in Northeastern Oregon’s Wallowa Mountains follows Hurricane Creek through a narrow valley between the high walls of Hurwal Divide and Hurricane Divide towering 4,000 feet above. 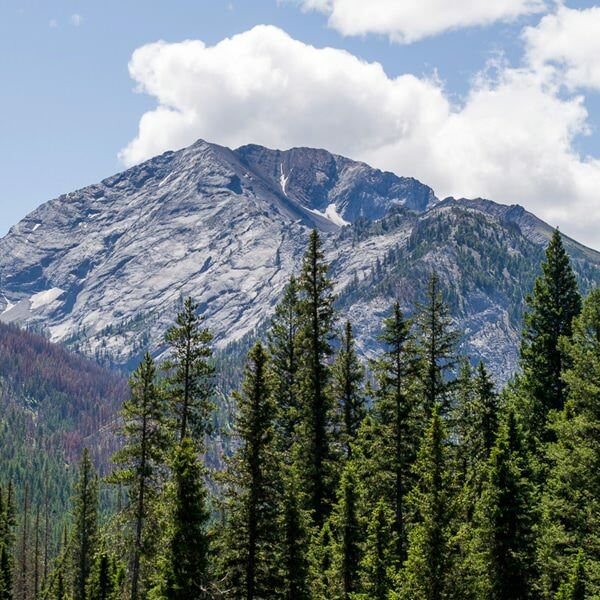 The highest summit in the Wallowas, Sacajawea Peak (9,838 ft.) dominates the view for much of this hike. Lisa D. Holmes is a graphic designer by trade and a hiking fanatic by accident. Her life changed when she moved to Oregon in 2007 and became obsessed with the beauty of the Pacific Northwest. 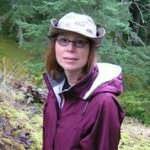 She has since spent much of her time hiking the trails of Oregon and Washington and taking photographs of everything she encounters. Combining her photos, map and book design skills and desire to share her journey with others has led to her first hiking book: I Heart Oregon (& Washington): 25 of the Portland Area's Best Hikes and I Heart Oregon’s Seven Wonders: Hikes at the Oregon Coast, Mount Hood, Columbia River Gorge, Smith Rock, Painted Hills, Crater Lake and the Wallowas. Follow her adventures at iheartpacificnorthwest.com.